Along with usability and search engine visibility, the website design also plays an important role in incoming traffic volumes of the website. This article outlines some of the dangerous web design flaws that are present in a number of websites. These are just some small considerations that every website owner and every website designer should be aware about. At times some websites only display some price for the product and when you click on the ‘buy’ or ‘order’ button, the real price is revealed. Other websites do have a price list however it is hidden somewhere deep in the website at a location that is not easily accessible from the home page or from the products page. I am not aware of the actual reason behind this. It is a possibility that the website owners might be thinking that if the real price is not declared until the customer hits the buy button or the order button, the customer is more likely to buy the product. This reasoning might not be applicable to all the websites but that’s what I think. The traffic coming to your website comprises of many types of visitors. For example, let’s consider a window shopper. If a window shopper sees something good on your website, he might note down the price of the product and your website name so that he can come back later in case that product is required. However, if he is not able to locate the price of that product easily on your website, do you think that a window shopper will be willing to browse the complete website to find the price? No, not at all! A window shopper will also not click on the buy button for knowing the price of the product and he will also not take up the task of creating an account, entering his personal information and validating that account for knowing the price. It’s a simple concept! If you are selling something on your website and if the visitor is not able to find the price of the products then he / she will leave your website. On the web, your competitor is just a click away. With the help of any search engine, the visitor will quickly find an alternative to your website and whoosh! He’s gone! It is also not right to make the visitor talk the customer care assistant for knowing the price of the product. The website owners might think that in this way the customer care representative can convince the customer to buy more, but sadly, that does not work. No matter how you look at this, it is a straightforward fact that the prices of the products you are selling should be clearly displayed on the website. By making it confusing and difficult for the people to find the prices of your products, all you are doing is driving them away. According to many website usability experts, ‘An average internet user has an attention span of a flea’. So it is important to display the prices instantly otherwise your visitors / customers are gone and your competitors would be celebrating this. Have you ever come across a live salesperson who goes on and on talking about a product? And you get very little chance to speak about your needs! There is a possibility that the guy might already have that product but even then the sales person goes on and on describing the product. This is annoying, isn’t it? Many websites practice this sales tactic as well. One prominent characteristic of such website is that it has a poor navigation. A visitor cannot easily access other web pages of the website apart from a sequence of planned steps created by the website owner. First the visitor has to read the website owner’s introduction of the product. Then, after reading a lengthy web page, the visitor finds a link to the bottom that directs him to the next page. Again, the visitor has to take the pain of reading the second page before he finds the link to move on. Preferably, you can opt for a two column layout for your website with CSS. 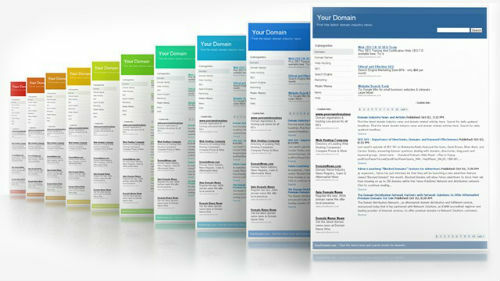 This helps in creating an impressive website design. Even if the visitor has already taken the decision to buy the product, he is forced to go through the complete sequence of steps in order to buy the product. Think about this – If you do this, your website visitor might change his mind and leave! Such kind of websites give a bad vide to the visitors. The usability of such websites is extremely low and this kind of website design discourages purchases. One of the basic rules of selling something on the web is that you should not force your customers to go through many web pages before they get to the ‘buy’ or ‘download’ button. 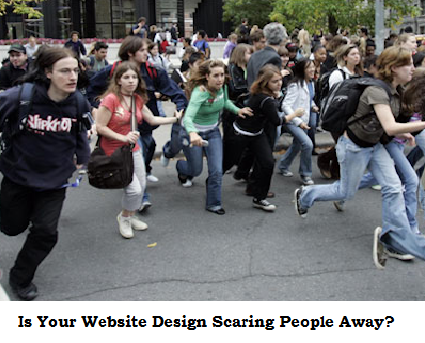 In this way, you are only going to drive away the people coming to your website. It is important to realize that a website is different than a live salesman. If people have come to your website to buy something, they will obviously not be interested in reading large chunks of content. In case of a commercial website, some links must be accessible from all places of the website. The best way to do this is to place them on the navigation bar. Similarly, every internal page of the website should also provide with a link to the home page of the website. Products : This is a link to the page listing all your products. If you have too many product pages, it is preferable to create category pages that are accessible through the main product page. Order form : This link should point to your order form. Product price list : As mentioned above, displaying a price list improves the usability of your website. Support : This link should be placed in a page that displays the ways in which customer can contact you. About us : There should be an ‘About Us’ page that portrays information about your company. 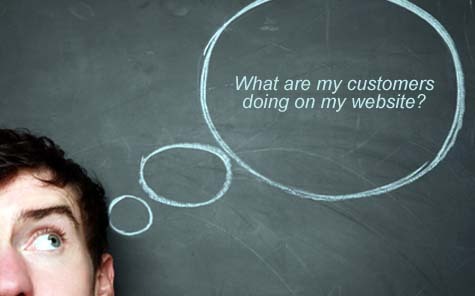 The web is a really big horizon and here, a good and usable website is the beginning of customer service. The way in which you design your website determines whether the visitors to your website will be your customers or your competitor’s customers. Next story How Can Web Developers Make A Disaster Recovery Plan?